“Today, they refused to let us enter the Grande-Synthe migrant camp. This is democracy a la francaise!” Le Pen tweeted shortly after trying to visit the camp. Le Pen didn’t stop there, though, giving interviews outside the camp and posting a series of tweets that slammed the French authorities’ steps regarding the refugees. — Marine Le Pen (@MLP_officiel) 24 января 2017 г. “Otherwise, the camps will multiply,” Le Pen warned. 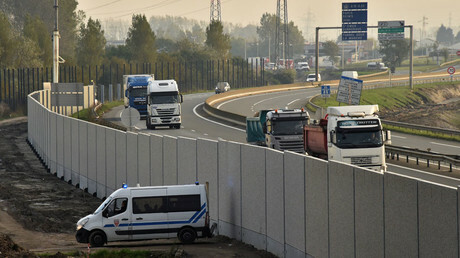 Le Pen met with the residents of Calais, who she said shared with her their concerns about “complex problems” related to migrants in the area. She was referring to another major camp in the region, the infamous ‘Jungle,’ which was shut down in October. The Grande-Synthe camp holds about 800 people, according to official data, as cited by AP. 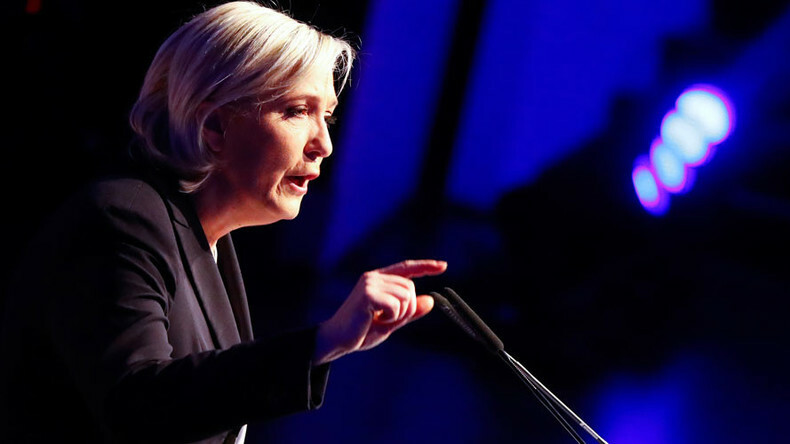 Le Pen has been a vocal opponent of the French government’s migration policies, and pledged to hold a referendum on ‘Frexit’ – a potential French exit from the European Union – should she come to power. The latest major survey, conducted for Cevipof and Le Monde, has shown that Le Pen is gaining momentum among French voters, leading with 25 to 26 percent in the pre-presidential election polls, while Republican ex-PM Francois Fillon is in second, with 23 to 25 percent of the vote.